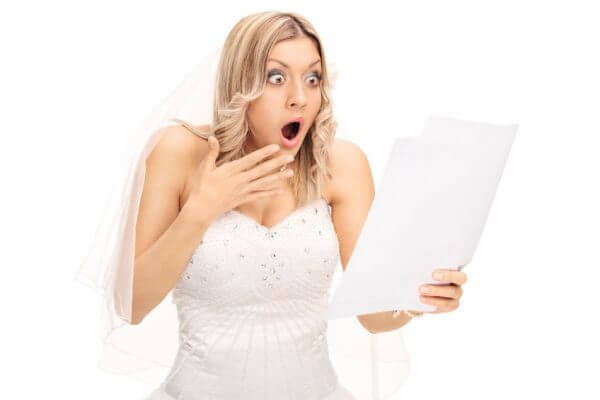 Recently, a wedding industry colleague asked our Special Moments Event Planning Lead Dream Maker, Tammy Waterman; what is the most common mistake that she sees newly engaged couples make. After the discussion, we decided it would make an awesome blog post! The most common mistake couples make centers around thinking a professional wedding planner plans your wedding FOR you instead of WITH you. We hear it all the time, “I want to do some of the planning myself, so we are only booking partial planning”. The reality is that with our Special Moments Event Planning full and partial planning service packages, you are still in control. We work to eliminate your stress by narrowing the field of amazing Tampa Bay wedding professionals based on your style, personality, and budget. We keep you on track with all of the planning, but the final selections are yours. It is always YOUR wedding! The second misconception is how much work is involved in wedding planning. We cannot even count how many couples have come to us and decided that they would book Special Moments Event Planning for our Unique Moment package thinking they will do a lot of planning, only to get overwhelmed with all of the details. The truth is that engaging our Special Moments Event Planning team from the beginning is the best way to eliminate stress, not get overwhelmed with the wedding planning details and keep you on budget. Not only can our team make suggestions to keep you on budget, but we have found that many vendors offer clients better pricing or incentive because they know our team will keep the lines of communication flowing and share all of the details of your wedding with them in a timely manner. Not to mention the fact that we tend to make their wedding day go more smoothly. Call our Special Moments Event Planning team today at 727-343-0800 to talk about your wedding and which of our packages will offer you the best value. You will be glad you did!